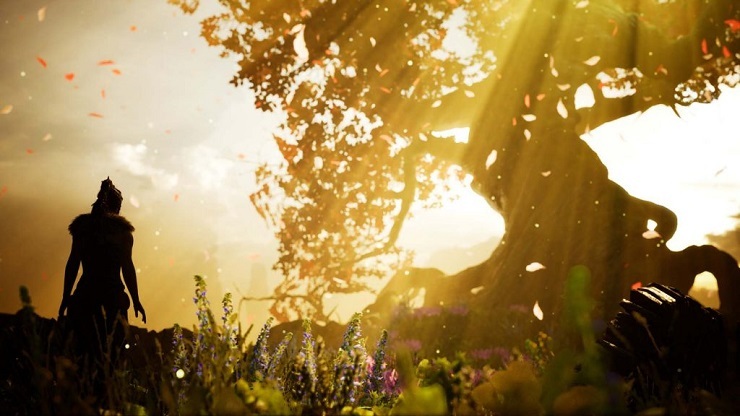 By the time the credits rolled on Hellblade: Senua’s Sacrifice, my mouth was wide open, and I felt a great deal of relief. I never expected such a journey, and I never expected to love this game as much as I did – I was in awe of what I’d just played. Nothing could’ve prepared me for the adventure I had been on, the things I’d seen, or the story I’d witnessed. Ninja Theory has made something with a great deal of heart, all with the talent and ability they’ve showcased from the very start of their formation. Senua is a tortured soul who’s plagued by Psychosis, fighting through a world based heavily on Norse mythology. The story was one filled with intensity and beauty, pain and joy, and some of the most visceral combat I’ve witnessed in video games. Throughout it, you’ll hear the voices in Senua’s head in a lot of different situations, such as in battle, through cut scenes, and in the more quieter moments of exploration. Whilst the game is incredibly linear, there’s plenty of chaos ensuing around you, and you never feel bogged down by the restrictions, a la The Order 1886. Hellblade looks stunning, and the visuals never stop impressing. Whether you’re seeing the sun glisten across a peaceful lake, or a wall full of burnt corpses writhing in pain, there is beauty in everything you see. The level of detail matches the likes of Uncharted 4, and right up until the end, the set pieces forge with gameplay to form a seamless painting made by gifted hands. You’re walking through a photograph, with realism in every inch, however, you never interact with your environment unless it’s a switch, lever, or a wooden torch. It was never a problem for me, but some might find walking through a puddle to see no ripples, or traipsing through sand to see no sign of footprints an issue (you snobs!). 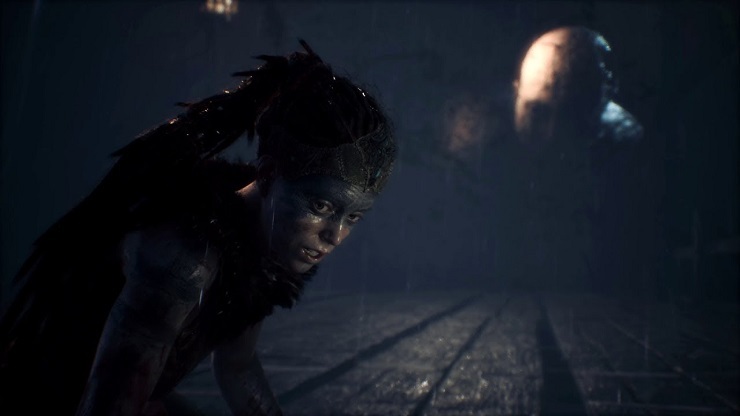 If you’re familiar with Ninja Theory, you’ll know they have a penchant for tying FMV into their games, and there’s a fair amount of it in Hellblade. Early on it’s a bit jarring, but as you see more of the world, it becomes quite a pivitol function, and seeing the characters from Senua’s past and future portrayed with these methods makes for an interesting concept. So it looks totes amaze, but how does it play? Surely it can’t be any good, can it? Part of what made me fall in love with the game was the combat. It’s simple, but it’s soothing almost, like a stress release as you glide from one enemy to the next. Every fight takes time, and it’s slow – realistic. You have a normal and strong attack, and you may parry and dodge. Blocking at the correct time will allow you to catch an enemy of guard and land an important blow. When you have around four or five enemies surrounding you, your over the shoulder camera doesn’t allow for seeing behind you, or even in your peripheral, so the voices in your head will tell you if anyone is about to attack you from a point at which you can’t see. There are about six different enemy types (not including the bosses) that act differently, but somehow work as a solid unit you must destroy. For example, there are tall warriors with wooden shields and axes that you have to work on to beat, faster knife-wielders in fucked up crow masks, and giant barbaric brutes who are almost twice as tall as the other enemies. Combat is intense, but mastering what works well against different types of enemy can help paint a horrid scene filled with blood and victory. You’ll also be able to slow down combat when you’ve had a short flurry of successful strikes and evades, helping to give you a massive advantage if used correctly. The bosses are few and far between, but the build up to them comes through stone monuments with runes on them, and once you focus on them, you hear the voice of a man telling tales of specific Gods and cities, such as Odin, Baldr, and Niflheim. You may even come face to face with certain things within the mythology, but I won’t ruin that for you here. Runes also block the way, and by finding the shapes of the runes within the environment, you can help to open doors that block your way. If one of the shapes is a cross, looking around an abandoned village and finding a fallen tree laying horizontal next to a standing tree may have created one such shape, so by focusing on that may unlock the door and solve the rune puzzle. There are times when these puzzles become tiresome, but by the time you feel like you’ve reached one too many, the next battle is here, or you’re once again blown away by the environment or story (it’ll always be one, trust me). I’ve talked a lot about focusing in Hellblade, but it’s for a reason. Focus is a mechanic, and by pressing it, you’ll either slow down combat, focus on a rune’s environmental location, or unlock part of the story. It’s a moment for Senua to escape the constant torture of her psychosis, and give you a chance to progress in one way or another. It’s a simple idea, but it helps to keep the gameplay so addictive. You are rewarded by using focus, but on the other side of the coin, dying causes you to rot. When you keep losing your life (pretty much in battle, or another scary as hell moment), your hand will start to rot, then your arm, your shoulder, and so on. 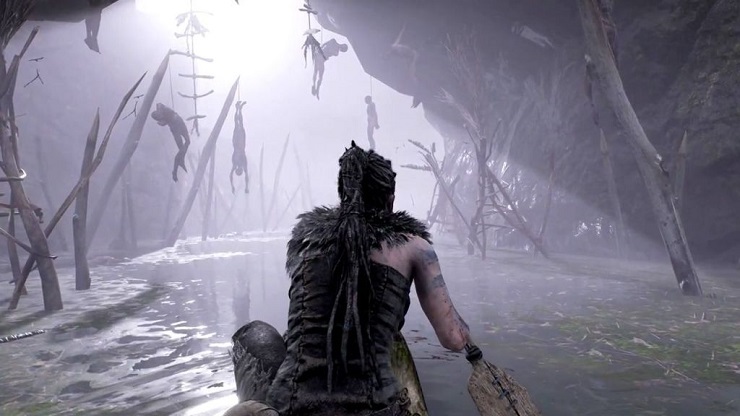 The miracle of Hellblade comes from it’s delicate treatment of mental health, but also showcasing how severe it can be. Even though it’s in a fantasy setting, it still portrays the struggle authentically. There’s a documentary in the game from Tameem Antoniades (the game’s Director) that delves deeper into how they spoke to sufferers of the illnesses, which is also fantastic. I feel the game wouldn’t be able to portray it half as well without the actor who plays Senua. Melina Jeurgens is brilliant, and as her journey progresses, she’s pushed to the absolute limit. Her accent is delicate, providing an uneasy juxtaposition with her struggle, and her performance completes the experience. 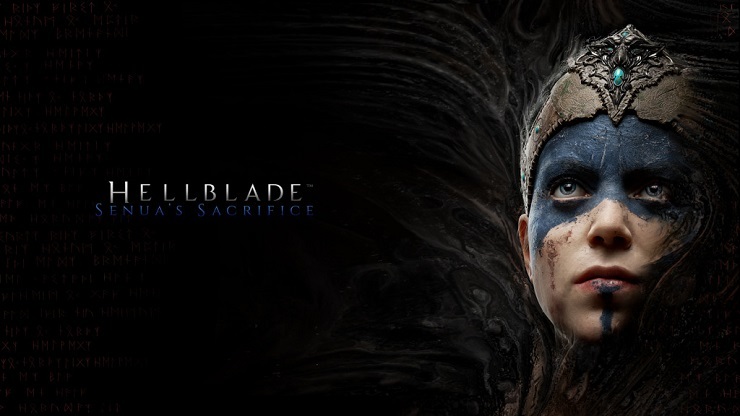 Hellblade: Senua’s Sacrifice is a modern marvel, showing that patience and talent can make all the difference. I hope Ninja Theory has a lot of success with this because they are pushing the boundaries on what can be done, using technology not seen anywhere else, storytellers with a great deal of talent, and artists doing things we rarely see these days. If my words bear any weight on your decision to buy, I’ll be happy, because it’s absolutely worth delving deeper into the mind of Senua, and into one of the best games of 2017. You need to play this game. One of the most inventive games of the year, showing that time and patience can be behind a challenging, smart, and incredibly interesting game.